In the graceful movements of birds in flight, Simon Levin, Ph.D. ’64, mathematics, sees principles of fluid dynamics at work. In bees and their unfailing devotion to their queen, he finds lessons on economic cooperation. The flu virus, creating variations to thwart human immunity for millennia, underscores for Levin the importance of incorporating flexibility into the most highly regulated of industries. After more than 50 years applying mathematics to ecology, epidemiology and economics, Levin remains fascinated by nature and the light it sheds on human responses to threats and stressors. His life’s work has been identifying biological and behavioral processes in diverse ecological settings, all of them offering potential solutions for man-made problems. Today, Levin works at Princeton University, where he holds the James S. McDonnell Distinguished University Professorship in Ecology and Evolutionary Biology and leads a research lab with more than 20 members. Since 1999, he has focused on the management of public goods and lessons in economic cooperation that can be gleaned from microbes, plants and animals that willingly share resources. He points to bacteria that signal one another to exchange biological favors and bees and termites that often sacrifice their own fitness to protect their social unit. 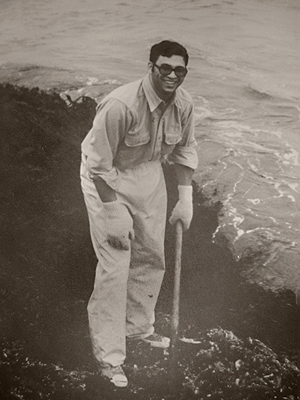 A pioneer in the development of theoretical ecology, Levin was instrumental in launching the field of spatial ecology in the 1970s. He used mathematical analysis to examine, in an evolutionary context, the mechanisms underlying natural patterns of dispersal and movement across geographic areas, looking at everything from seeds to wildebeest herds. Levin’s attempts to answer critical questions about resource sharing in marine settings, forests and beyond have earned him praise around the world. In 1988, he won the Ecological Society of America’s Robert H. MacArthur Award that honors significant contributions to ecology by a mid-career scientist. He was named the Kyoto Prize Laureate in Basic Sciences in 2005, the same year the eponymous emission-reducing protocol first went into effect. His Kyoto lecture on global change outlined the clash between individual and collective behavior for an audience of the world’s most renowned environmental researchers and policymakers. Levin insists his current line of work examining economic systems isn’t a dramatic departure from his many contributions to ecological research. Like the biosphere, socio-economic systems also require some safeguards for the common good, he said. Looking at cellular and vertebrate evolution, Levin found several examples where organisms evolved robustness that could be copied by those who govern modern markets. Take for example the vertebrate immune system. It can’t predict when or which dangers will befall an individual, so built-in defenses like the skin protect while immune system cells broadly attack and develop antibodies in response to specific threats. The ability to shut down markets to avoid a free fall, he said, needs to be paired with flexible solutions that sustain a nation’s economy through a crisis. 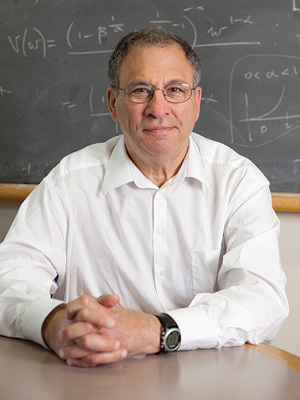 Regardless of subject area, many of the mathematical underpinnings of Levin’s research are based in game theory, which models conflict and cooperation between decision-makers, or dynamic systems theory, which seeks to understand behavior in fluid settings. Levin’s interdisciplinary approach and his willingness to work with researchers who may not come from the same school of thought are keys to the success of his projects. Interacting with leaders like the late Nobel prize-winning economists Kenneth Arrow and Thomas Schelling, MIT economist Andrew Lo, former head of the National Oceanic and Atmospheric Administration Jane Lubchenco, and UMD infectious disease expert Rita Colwell, Levin continues to reach across fields to find meaning. This is a lesson he traces to his days as a doctoral student in UMD’s Institute for Fluid Dynamics and Applied Mathematics. Levin’s advisor, UMD Mathematics Professor Monroe H. Martin, encouraged Levin’s desire to use math to answer biological questions. Martin suggested Levin pursue postdoctoral work at the University of California, Berkeley, with operations researcher George Dantzig, B.S. ’36, mathematics. Dantzig was the son of Martin’s former colleague, UMD Mathematics Professor Tobias Dantzig. Today, Levin offers this same advice to a new generation of researchers. Like those termites and bees, he wants to see more researchers working toward the common good, even if it means stretching across cultural or political lines.